A trip to Ecuador can be fun and good for your health and wealth as well. Recently Merri and I visited a dermatologist to have some skin blemishes checked and I have to laugh (or cry). Laughter really is the best medicine (1). Laughter relieves tension in the whole body and leaves your muscles relaxed for up to 45 minutes. Having fun boosts the immune system, decreases stress hormones and increases immune cells and infection-fighting antibodies. Smiling triggers the release of endorphins, the body’s natural feel-good chemicals (2). Cheerfulness improves the function of blood vessels and increases blood flow, which can help protect you against a heart attack and other cardiovascular problems. Our journey into American health care system was the first time we have visited an MD in the US in many years. We have been through a similar exam in Ecuador. The dermatologist there has some form of light he placed on each blemish, quickly saying “no”, “no” “no”. The nos were good. No meant “no malignancy”. We stepped out of the office, paid $25 each for the exam and were on our way. I did not expect the exam would be as good or as easy in Florida, so was pleased when we received an advance courtesy call from the dermatology office. Ugh, I was impressed that is, until I understood the purpose of the call. There were no medical questions but a rather harsh “How are you going to pay? What type of insurance?” They seemed surprised and confused when I explained we would pay since we do not like an insurance company to interfere in our relations with our doctor. I now realize of course that this was under the mistaken idea that the doctor would actually engage in a conversation with us, beyond “Do not question the system”. About an hour later our turn arrived. A trainee first looked at us and fed data into a computer. Then a technician came. The tech spent her time explaining how the trainee was new, temporary and did not know anything. Finally an MD (I think) came. There was no introduction and I still do not have a name. After one quick look the result was. “We’ll need to take biopsies.” Then after a short procedure we were told we would have results in three weeks. Nearly many hours and $900 later, we have no clue about anything except in three weeks I am pretty willing to bet we’ll have the same results that cost us an hour and $25 in Ecuador a few years ago. In Ecuador dermatologists and many other doctors and dentists in the province of Imbabura province have been helping us and our readers create wonderful treatments and huge medical savings over many years. This leaves me feeling increasingly cynical about the US health care system. How many procedures are American patients subjected to that do not mean a thing but cost a lot? Take for example the annual checkup. A recent New York Times article “Skip Your Annual Physical” Ezekiel J. Emanuel (1) says: Not having my annual physical is one small way I can help reduce health care costs — and save myself time, worry and a worthless exam. Around 45 million Americans are likely to have a routine physical this year — just as they have for many years running. Spend your time and money on fun instead. Get rid of activity that others have fooled you into taking for their benefit not yours. Observe nature’s way and let this more powerful intelligence educate you. Take for example the power of fun. Have you ever noticed how young children are so curious and always want to play? Playfulness turns them into dynamic learners. Learning is fun. Western culture tends to compartmentalize life into separate spheres: work, family, education, politics, religion, recreation and entertainment. Most spheres are seen as being serious. These assumptions of division are not natural and they certainly are not fun! Work becomes pressure. Education creates tension… politics… anger… exercise… work. This compartmentalization separates work from play. This is an error. Play is nature’s way of motivating us and helping us learn. Joy is the most powerful motivational force. Fun and games are God’s great teachers! Society can beat the playfulness out of you. A myriad of rules and responsibilities make you serious. This creates stagnation, rigidity and fear of change at a time when flexibility can be your most valuable asset and embracing change your most profitable and enjoyable activity. Reverse the process. If youth encourages play, then play encourages youthfulness. Start to play in your work and exercise and your business and your investing. Your health can improve if you add play to your exercise programs. Have an adventure. Take a trip. For example a trip to Ecuador can be free. One reader wrote to me: “Hi Gary, I would recommend medical care in Ecuador any day. I went to Dr. Alquilerra in Ibarra to have 22 cysts removed. It took one-hour 10-mins. and he was thorough and gentle and charged: $200. Six months prior I had ONE removed in Waynesville, N.C. from a P.A. It was obvious she didn’t get all of it as Dr. Alquielerra noticed, so he removed the rest. The P.A. charged $120.00 at their medical practice that I have to say looks like something back in the ’50’s. Dr. Alquilerra’s “State of the Art” facility was unbelievable. Never have I seen any here in N.C. as clean, as well run as his. 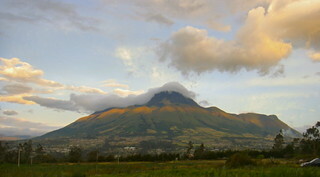 Which would you rather spend, a day in a clinic waiting for impersonal treatment at a high cost, or a trip to Ecuador? In many instances the trip and better treatment will cost you less in Ecuador. Plus taking a trip is fun! Figure out how to have some fun. This really is the best medicine.